Should there be an award for vanity among Metro Manila mayors, Caloocan City mayor Recom Echiverri would most likely win, hands down. And that’s because his mustachioed “smilies” and name is either pasted or painted everywhere in the city — like some ancient deity watching over his people, reminding them of his benevolence. You can’t miss it. 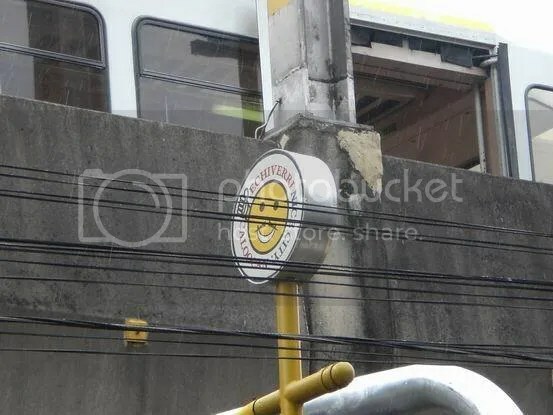 It’s on the street, on the walls, in those big-assed billboards along EDSA and, get this… even the lowly garbage cans has his facsimiles smiling at you. 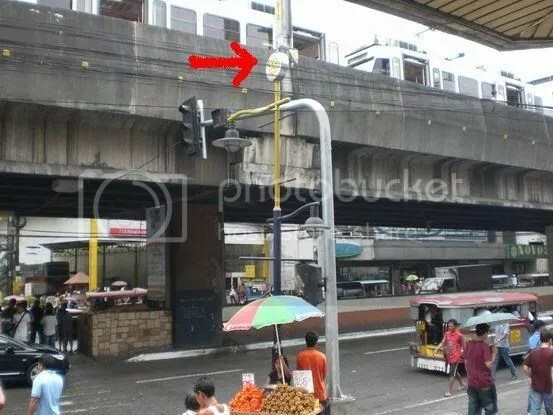 Not content with his past handiwork, he sought to further remind the people of Caloocan of his, err… “generosity”, by erecting several lamp posts along a portion of Rizal Avenue in front of the Ever Grand Central mall, with of course, his smiling mug on top for everyone to see. Perhaps somebody ought to tell the good mayor that using public funds for personal gain — in this case, self advertisement — is a big no-no. What, you think he used his own money for those laughable public relations stunts? Looking at the front page though, I can’t help but think that this country is slowly, but surely, going to the dogs… Crap! now I remember why I stopped reading newspapers a long time ago. 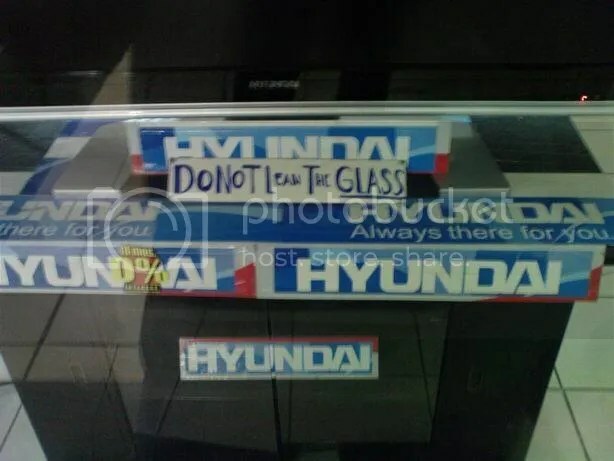 Uhh… how exactly do you “lean” the glass? Teleport – to transport (a body) by telekinesis. What would you do if you suddenly found out you possess the ability to teleport? That is, to be anywhere in the world in a blink of an eye. For young David Rice (Heyden Christensen), his accidentally-discovered gift was the ultimate free pass — his ticket way out of his dreary small town life in Michigan. Using his new-found talent, he soon begins to live a life that ordinary mortals can only dream about. Partying in London one day, and surfing the waves in Hawaii the next… all that, and with tons of money (stolen from the banks obviously) to boot. Life was good for David it seems… at least for the next eight years. His perfect little world soon crumbles after he crosses path with a mysterious group of people called Paladins, headed by a man known as Roland (Samuel F. Jackson), who believes that Jumpers (as they are called) are an abomination to humanity and therefore should all be killed. I don’t know why film critics have been panning this movie left and right. I liked it… I think. True, it was kinda shallow, but then, what movies of the same genre aren’t? Besides, I did willingly pay a hundred and thirty bucks to sit down and be mindlessly entertained. And entertained I was. 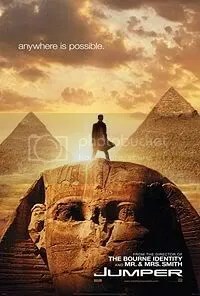 Admittedly though, watching the movie reminded me more of those travel shows that I often watch on Discovery’s Travel and Living channel, rather than a true-blue sci-fi thriller. But at least the story was fast-paced enough not to be boring, and the film certainly delivered just the right amount of action (although nowhere near the thrill-a-minute chase scenes of “National Treasure: Book 2“) that kept me on the edge of my seat for the most part of the movie. The only thing that seemed to bog the movie down was the lackluster performance of Christensen, which was eerily reminiscent of his ho-hum Anakin Skywalker role in “Star Wars” episodes 2 and 3. But thank God for Jackson for his chilling portrayal of the cold and brutally efficient — and Dennis Rodman look-alike — Roland, and Bell (what’s up with the accent? I can barely understand half of what he was saying) — who very nearly stole the movie with his manic performance as the gung-ho Jumper — for saving the movie from becoming another Hollywood casualty. 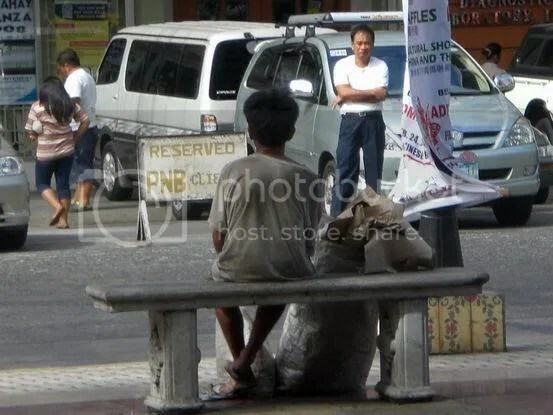 Looking forlorn and seemingly lost amidst the hustle and bustle of the cold, uncaring world around him, this young scavenger — who caught my attention as I passed by Plaza Lorenzo Ruiz in Binondo, one weekend — sits alone… probably wondering where and how to get his next meal. It’s just one of the many gut-wrenching scenes that remind me of the harsh realities of living in this unforgiving city, where the daily struggle for survival is but a way of life for some, whose fate seems inextricably tied to the dirt and grime of the mean streets. 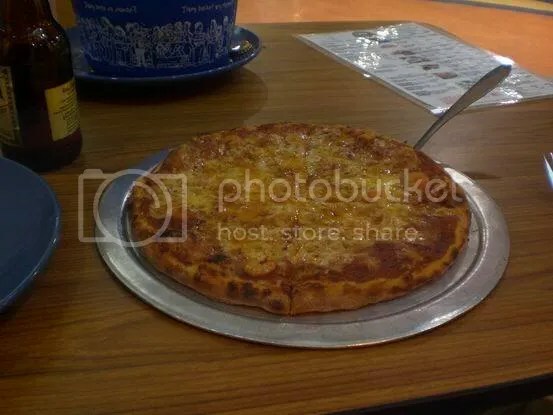 Something to think about for the weekend… or is it? I am a Jew, and every single one of my ancestors was Jewish. And it does not bother me even a little bit when people call those beautiful lit up, bejeweled trees Christmas trees. I don’t feel threatened. I don’t feel discriminated against. That’s what they are: Christmas trees. Or maybe I can put it another way: where did the idea come from that we should worship Nick and Jessica and we aren’t allowed to worship God as we understand Him? I guess that’s a sign that I’m getting old, too. But there are a lot of us who are wondering where Nick and Jessica came from and where the America we knew went to. In light of recent events…terrorists attack, school shootings, etc. I think it started when Madeleine Murray O’Hare (she was murdered, her body found recently) complained she didn’t want prayer in our schools, and we said OK. Then someone said you better not read the Bible in school. The Bible says thou shalt not kill, thou shalt not steal, and love your neighbor as yourself. And we said OK. Funny how simple it is for people to trash God and then wonder why the world’s going to hell. Funny how we believe what the newspapers say, but question what the Bible says. Funny how you can send ‘jokes’ through e-mail and they spread like wildfire but when you start sending messages regarding the Lord, people think twice about sharing. Funny how lewd, crude, vulgar and obscene articles pass freely through cyberspace, but public discussion of God is suppressed in the school and workplace. Pass it on if you think it has merit. 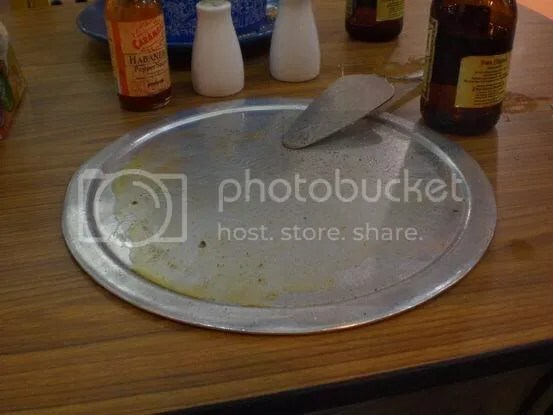 If not then just discard it… no one will know you did. But, if you discard this thought process, don’t sit back and complain about what bad shape the world is in. Cute, huh? Quite a timely piece from the speech writer of former president Richard “I am not a crook” Nixon, more so in this day and age of “political correctness” where nitpicking on every issue — no matter how small or insignificant — has become the norm. But wait! Hold your horses there my friend, there’s something you should read first before you press that forward button and start passing this message to every friend, family, co-worker and acquaintances in your contacts list. Here a little something I dug up from snopes.com. Goes to show that you can’t really believe everything you read nowadays, huh? 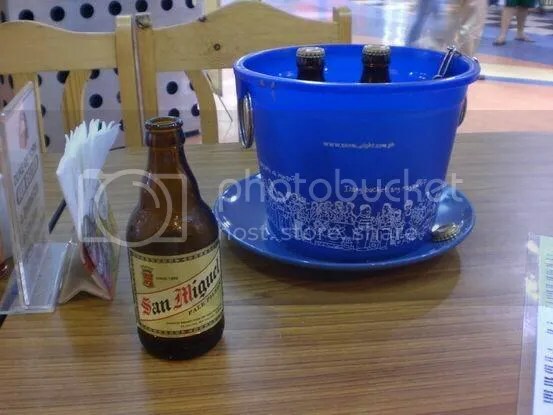 Oh well, have a great weekend, everyone. Watching part of the senate hearing on the ZTE scandal the other night, I couldn’t help but feel sick and yet… be amused at the same time. Sick, not because of Lozada’s revelations of greed among government officials, that’s old hack anyway, but at the sight of that poster boy for pompous asses, Jinggoy Estrada, among the panel of senators in the investigating committee. Excuse me but, shouldn’t HE, of all people, be the last person to be investigating a multi-billion peso scam to rip off the taxpayers? My amusement however, came in the form of feisty senator Richard Gordon who — while railing about the administration’s lack of political will in stamping out corruption and punishing the guilty — inadvertently (or not) took a snipe at the Estradas by giving as an example the recent pardon of ex-president Joseph Estrada a few weeks after he was found guilty of plunder. 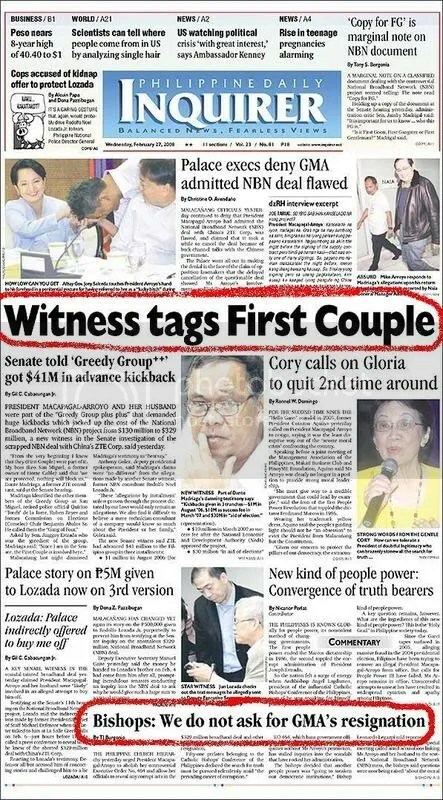 And about that supposed “secret” meeting of whistle blower Lozada, Neri and senator Lacson at the Makati Shangri-la hotel, who the f**k hold s a secret meeting in a very public place anyway? And at a 5-star hotel at that. What, they think everyone who works there are deaf and dumb? They might as well have put up a sign that said “Do Not Disturb, Secret Meeting Going On”.